Vegan leather 2 bottle wine cooler bag. Looking for a quality wine cooler bag for a wine enthusiast? Our expresso vegan leather two bottle wine cooler bag is a perfect gift. Quality finishing and stitching with a contrasting textured brown and beige tweed trim around the edge and bottom of the bag. Cooler bag holds 2 standard wine bottles. Can also be used as a cooler/lunch tote for travel or work. Removable adjustable over the shoulder strap will make this bag convenient for cross body carry. 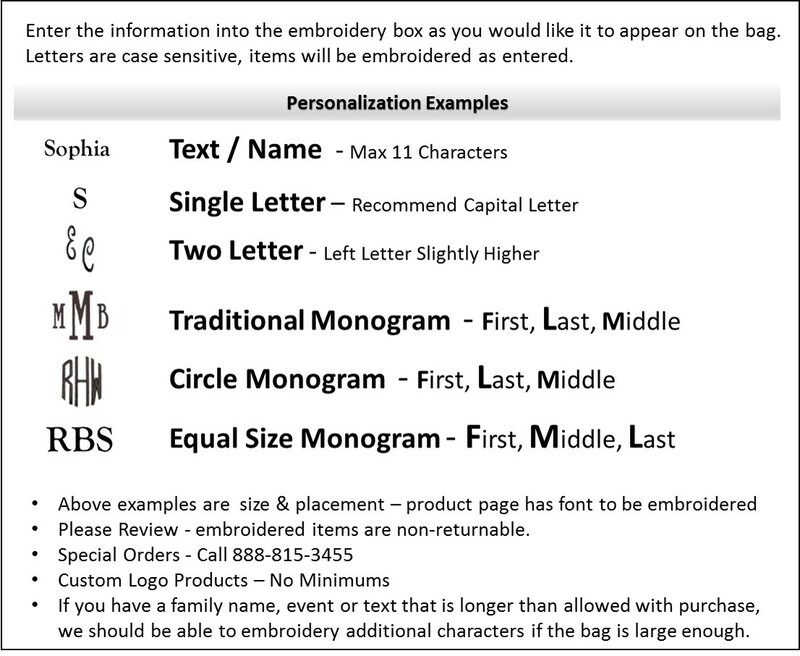 Add embroidered personalization for a customized gift. The 2 bottle wine cooler measures 14"H x 12"W x 4".